Our Parish is primarily a place of worship. 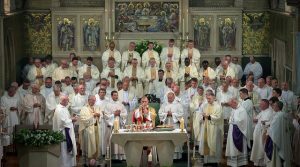 The very centre of our prayer is Jesus Christ whose Eucharist we celebrate nearly every day. 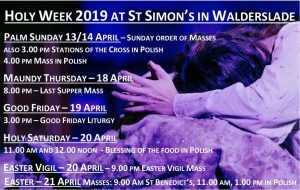 Listed below are the times of our weekly Masses and Services. 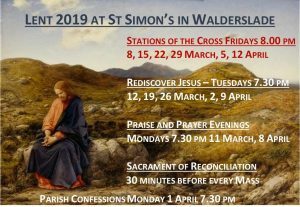 For more details you can look at our Parish Diary. St Benedict’s Mass centre is located at: St Benedict’s RC Primary School, Lambourn Way, Lordswood, Chatham, Kent, ME5 8PU. If you wish to have a Mass celebrated for a special intention, please contact the Parish Office or fill one of the Mass Intention envelopes available on the book shelf at the back of the church. You can book a Mass for a specific date but please be prepared to be flexible because not all dates may be available.